The animals give us all kinds of surprises, sometimes these are not as nice as we like, but many others, almost always, we enjoy watching them. 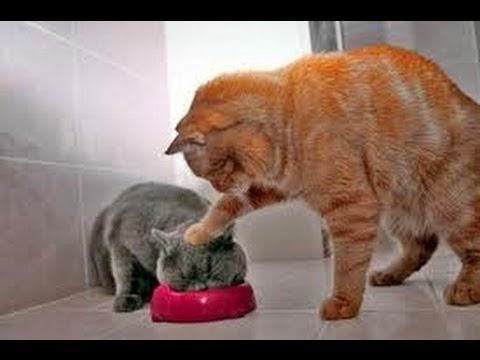 If you have a pet I know you understand this perfectly, but if you don't have one, you will see the images that we present below and probably you will want to have a pet, specially a cat because these are funny images with these animals. 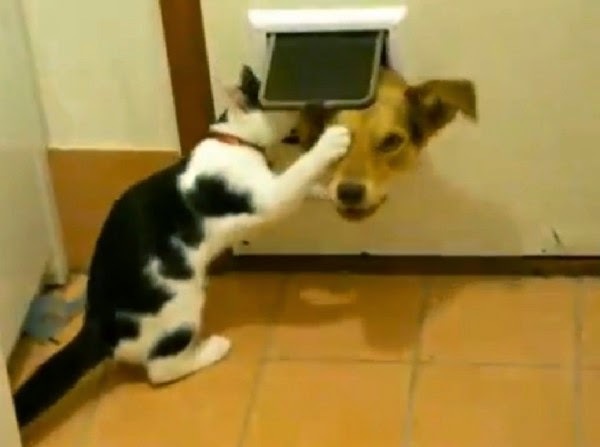 In this picture we can see a cat scratching a dog that had the idea to try to go into the house. 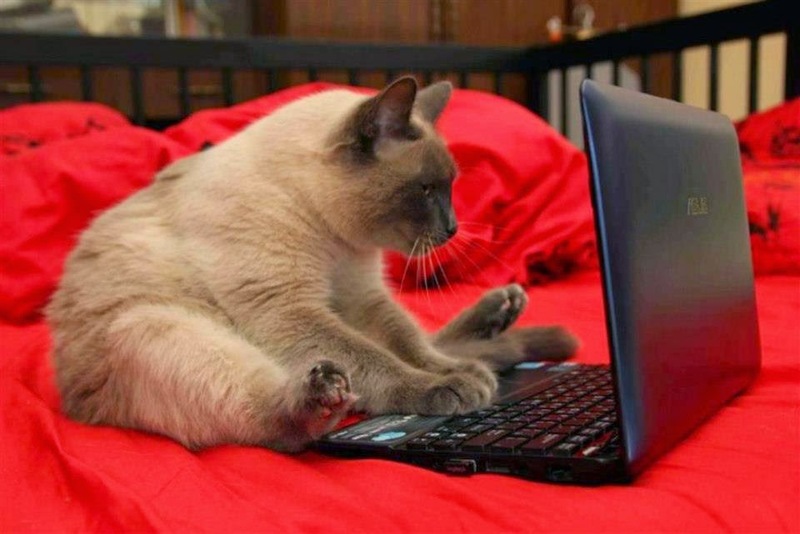 Do you think that it is possible that our pets see us like this cat? 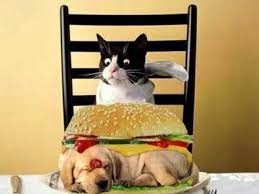 A cat's dream that comes true, he is going to eat a delicious hot dog. 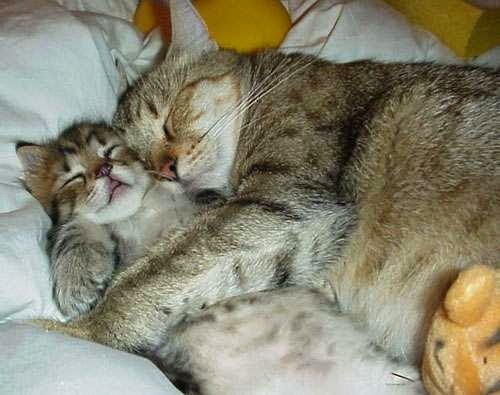 This image won't steal a smile but a whisper because it is really tender. 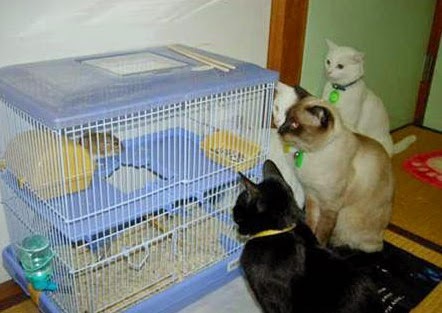 Are all these cats waiting this shy hamster to play with him? This is the best way to define the verb: REST. 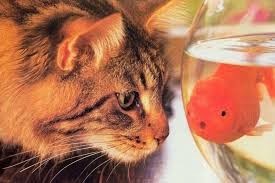 In this picture we see a very concentrated cat watching a delicious fish. What is it that the yellow cat tells the gray one? perhaps: DON'T SAY ANYTHING AND EAT? 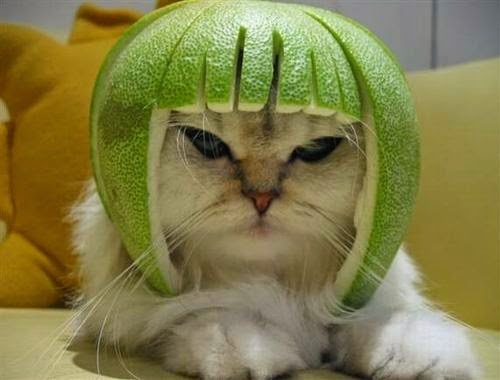 A funny picture of a cat with a particular wig. 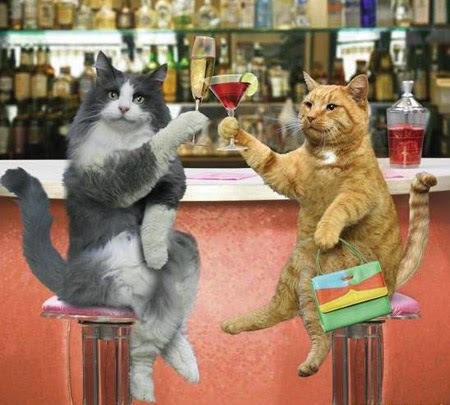 A funny photo of two cats cheering at a bar. 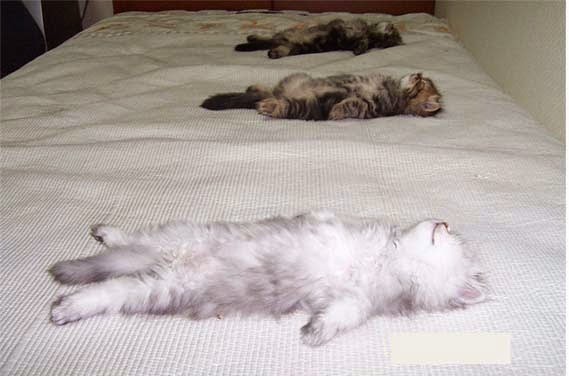 I hope you have enjoyed these Funny Images of Cats.